Tanja and Hasse at Mopperock. As one guest commented, "it's the coolest wedding I've been to, including my own!" 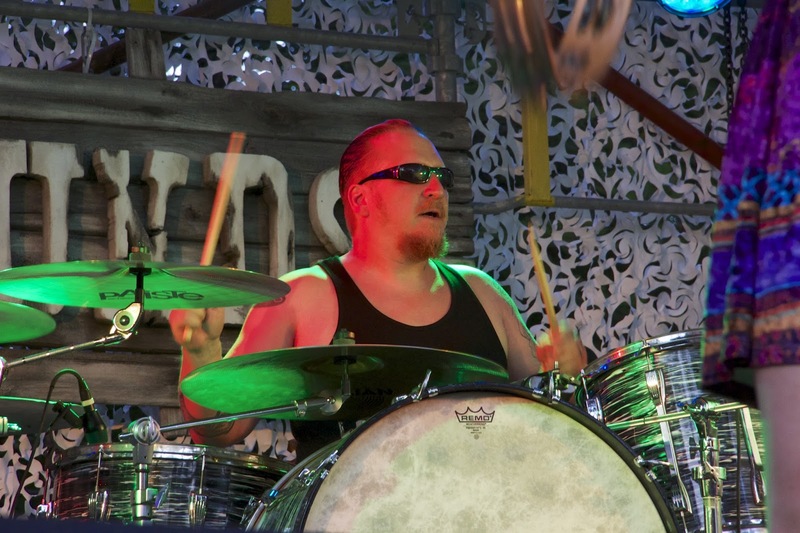 Tanja Vornanen and Hasse Kosonen met five years ago at Mopperock, a Swedish rock festival. 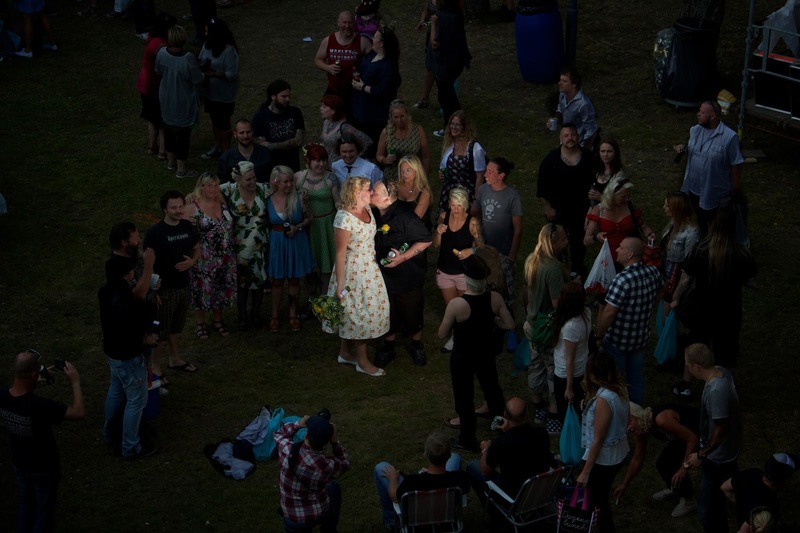 It was the last Mopperock festival, until Tanja and Hasse decided to get married. To celebrate the way they met, they decided to reboot Mopperock. Reboot it they did: 1,200 people came to the coolest wedding party ever. I met Hasse because he is a member of the rock band Mays Hounds. I was shooting at a Mays Hounds gig recently. When Hasse told me about the wedding plans and asked if I would be the wedding photographer, I was both honored and delighted.